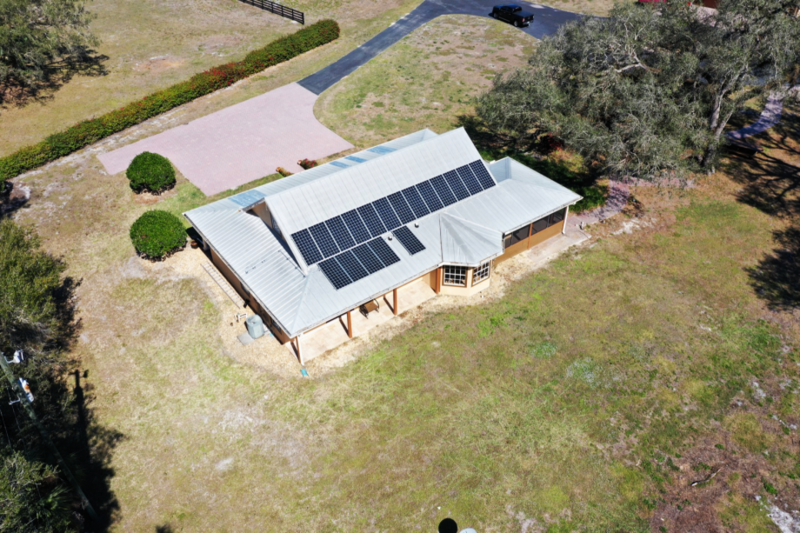 Check out this aerial video of a stunning Alva, FL property where we installed solar panels to provide electricity for the home. The system is expected to offset all of the home’s modest electricity use. With 18 solar panels rated at 365 watts each, this 6.57kW system is expected to produce over 10 megawatt-hours of electricity per year. It is grid-interactive, feeding excess energy production to the utility, FPL, who will store excess credits under the Netmetering program.